I’ve stated in a few monthly or end of year reports that I’ve had limited success with ammo. I made some database queries and went over my historical trading data to evaluate ammo trading performance. 45.481 M units sold, profit of 2.382 B, and average profit/unit of 16,556 ISK. 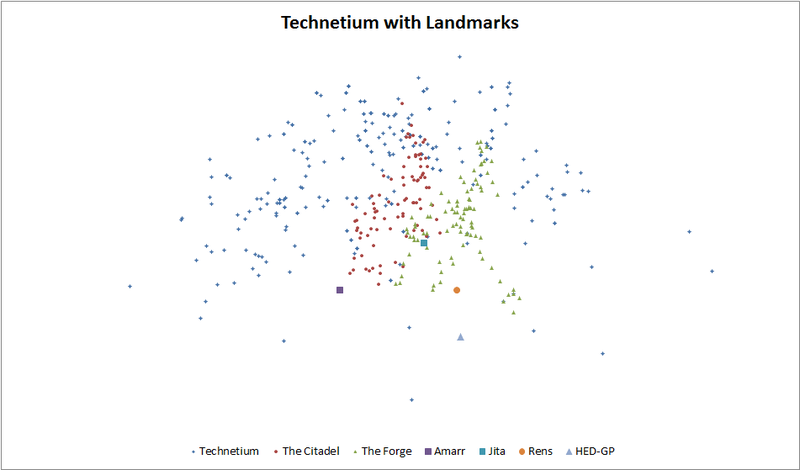 From this analysis you can see that working with Faction ammo and certain Tech 2 ammo types are the most profitable. I’ve highlighted the ones that I would continue to work in a blueish shade. Nullsec industry does exist, but not as you would expect. There are significant more logistical hurdles involved, which makes it a strange incarnation when compared to industry in the contiguous Highsec world. While reading over the CSM7 Winter 2012 Summit Minutes, I felt the desire to expose my method of industry to help the CSM and CCP better understand how large-scale people are working with the current design of Nullsec. For reference the Nullsec industry discussion that sparked this post starts on page 45, second to last paragraph of the CSM Minutes. I’ve built over 663 Battleships, 1,270 Battlecruisers, and 32 Carriers. Since I hold a disdain for the UI involved in the Invention process, I’ve done limited amounts of Tech2 Invention. This means that I have purchased my items mainly in bulk from manufactures. My report shows that I have moved around 28,000 modules. The amount of ISK I’ve touched is quite amazing, coming in at 836 B ISK. In CCP’s new terminology I’m called an enabler. 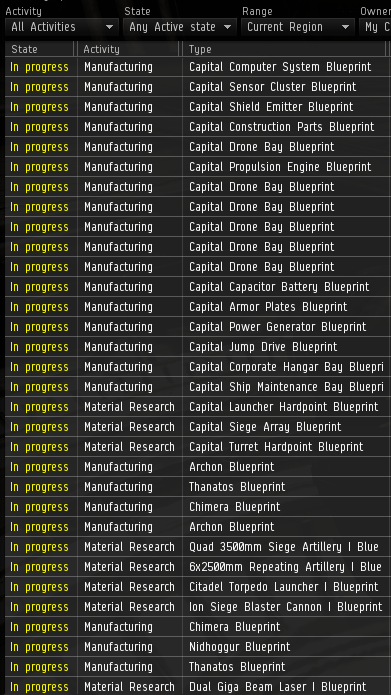 All my efforts are to supply hordes of nullsec warriors with tools to win battles — to make sure that our troops on deployment have Autocannons and Hulls that can fit the doctrine. Minimize risk by securing assets. 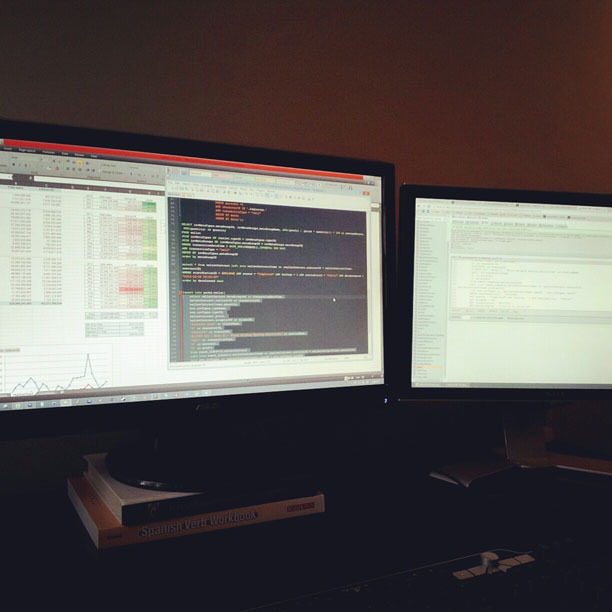 Minimize time sinks so that I make more for less play time. Maximize market velocity so the ISK flows. Wait, people mine in Nullsec!? Yes, over the past three years of building I have found small niche groups that do mine locally in null. I’ve even developed a few agreements to source discounted materials in bulk when available. 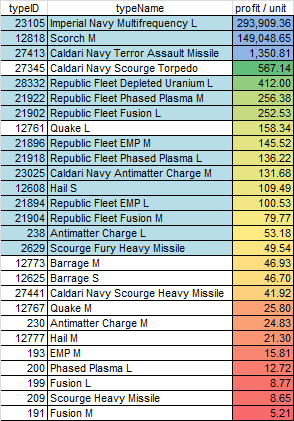 I don’t want to disprove that people mine and do Tech1/2 industry in sovereign nullsec stations, but rather to show that there are paths of least resistance to getting better [faster] results. Despite local groups mining, sourcing your materials in from Highsec is far more efficient that waiting for miners to produce results while periodically dodging AFK neutrals. Buy in bulk in Highsec, compressing, jump in, uncompress, and building is quick. Elise (@EliseRandolph) clearly understands this process as noted on page 45 in the fourth paragraph of the CSM Minutes. Bringing in assets from Highsec reduces my timesink as I can buy in bulk from a large pool of suppliers. This may be a scary point to accept, but the easiest solution to making sure your industrial assets are secure is to not use the POS system. With a deployed asset out in space, you are vulnerable to attack. Your ships, minerals, and datacores can all be locked if the tower is put into reinforced. Rather than use a user-deployed structure, I have opted to use NPC pockets withing large alliances or a Lowsec system that is within close jump range to the alliance main staging system. Additionally I detest the process of fueling, deploying, anchoring, and onlining structures so I have gravitated away from the POS system. Not using a POS in space allows me to secure my assets inside a NPC station. There is no risk of my assets being locked in a station when sovereignty flips. 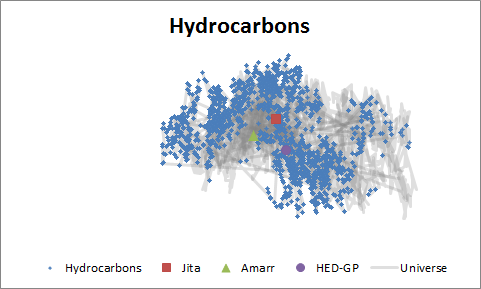 For me, there is no clear need for an industrialist to setup a POS network, maintain fuel, and defend assets when there are logistically easy options available. Side conversation: I’ve heard so many ramblings about reducing jump range to combat this logistical option. If jump ranges are reduced, I will create another cyno alt and place him in-line of my path efficiently making the range adjustment pointless. Two jumps now rather than one? Bleh. 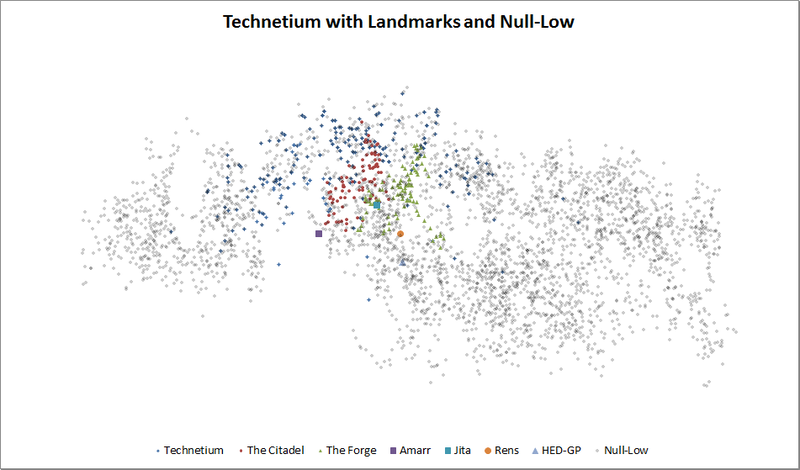 Large hubs are not hard to find in Nullsec. If you go to Dotlan, select a region, and filter by jumps over 24 hours, you can easily see where the traffic is located. For TEST’s old capital region of Fountain, you can clearly see that 6VDT-H is the focal point of traffic. The main system of 6VDT is in within one jump of Ogaria, a factory system in Solitude. Here you can peacefully uncompress minerals, construct, and have easy access to Solitude research slots in a Highsec island. Selecting a place with a large amount of Nullsec people enables you to have high market velocity so that you can transform your goods back into ISK, which can then go right back into your construction projects. Money makes money. I don’t claim to be a game designer so I can’t offer a 1-2-3 punch-list of what to change in order to reach an ideal state of Nullsec industry. What I want to show is that given the current system, one person has the ability to produce large amounts of change on the industry landscape in Nullsec without the need for any locally sourced goods. My sentiments for Nullsec industry change are very basic. There needs to be a reason for an enabler like me to setup shop locally. Conversely there needs to be a reason for the instigators to defend what I have build. We always hear that “Technetium is concentrated in the North”. 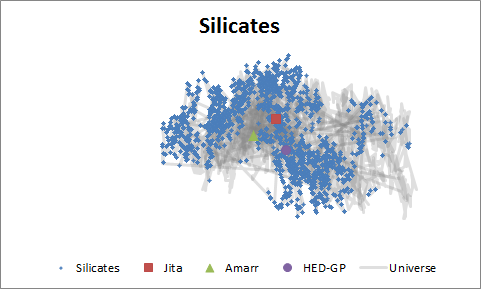 I wanted to use data that I have to visually show this concentration to further prove that claim. Additionally I want to show how different the concentrations of Cobalt is when compared to Technetium. Cobalt is of particular interest as it became a recent star due to changes in alchemy in order to impact the rising cost of Technetium. 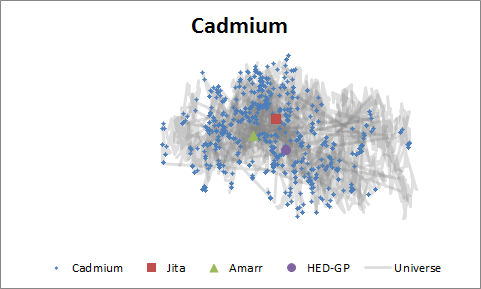 I have been developing a database of moons and their associated minerals. This dataset was born out of frustration when I used to help my corporation perform reactions in the Pure Blind and Cloud Ring regions. Often our logistics crew was doing double survey work so I started a centralized point of information to hold our moon data. My coverage is small and has many inaccuracies; I have coverage on 32,000 moons at this point, which only covers 22.31% of Eve’s 143,402 Lowsec and Nullsec moons. 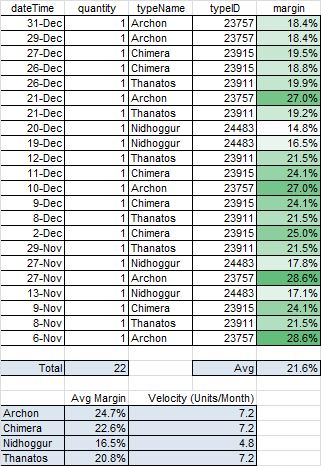 I’m sure that there are some gross errors as I have pieced this data from various public and private sources. Alliances and reaction-heavy Corporations tend to guard their moon data very closely, so I’ve have limited exposure to verified and sanitized data. My coverage of Technetium is 275 moons with an estimated 360-450 in existence. Using a conservative guess of around 400, that give me an estimated 68% coverage with a large amount of error. 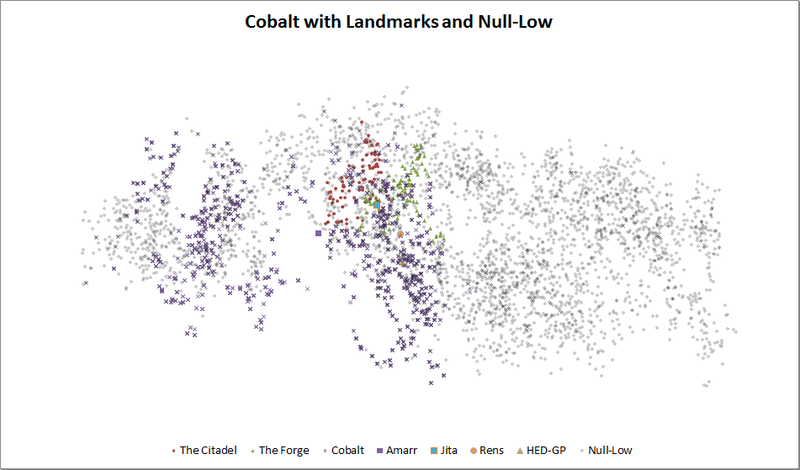 The dataset on Cobalt is higher, coming in at 2,702 moons. I don’t have an estimation on how many there are in existence, so I can’t judge my coverage. Despite the inaccuracies of my dataset, it can still be used to produce a scatter plot of the Eve Universe. I’ve added The Forge and The Citadel for map orientation purposes. From the comments so far, a lot of people are having trouble with the scatter plot. It is a 2D map of the Eve Unvierse with dots for systems that contain that moon type or are of that region. 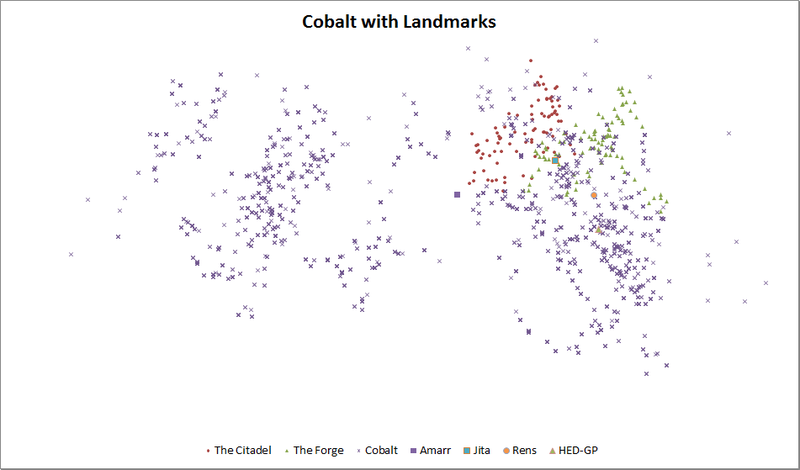 I thought that adding The Citadel and The Forge would help clarify the orientation of the map. Keep the Verite Influence map in mind when looking at these plots. The computer industry uses a term called “tick-tock” to describe progress in the CPU-release cycle. A tock represents a major breakthrough or a radical change in architecture while a tick refers to an incremental upgrade that while noteworthy, is nothing to rave about. Intel’s new processor increased in Base Frequency from 3.4 GHz to 3.5 GHZ? That’s a minor enhancement when compared to changing architecture of Intel’s Sandy Bridge series processors. I thought that the CSM7 cycle would have been a period of major change but rather we saw a laundry list of items receive work. The Crucible, Pre-Inferno, and Inferno cycles got developer time assigned to work on a backlog of ticks. Granted Retribution contained a lot of ticks, but I wouldn’t call them a tock when looking at the scope of changes that came when Tech 2, Capital Ships, and Wormhole space were introduced. …There are murals that could be painted to guide the way for EVE’s development for the next ten years, rather than looking at the last ten years and trying to fix all the mistakes. Not to say that mistakes can’t be addressed, but instead let’s try addressing them in new and inventive ways. 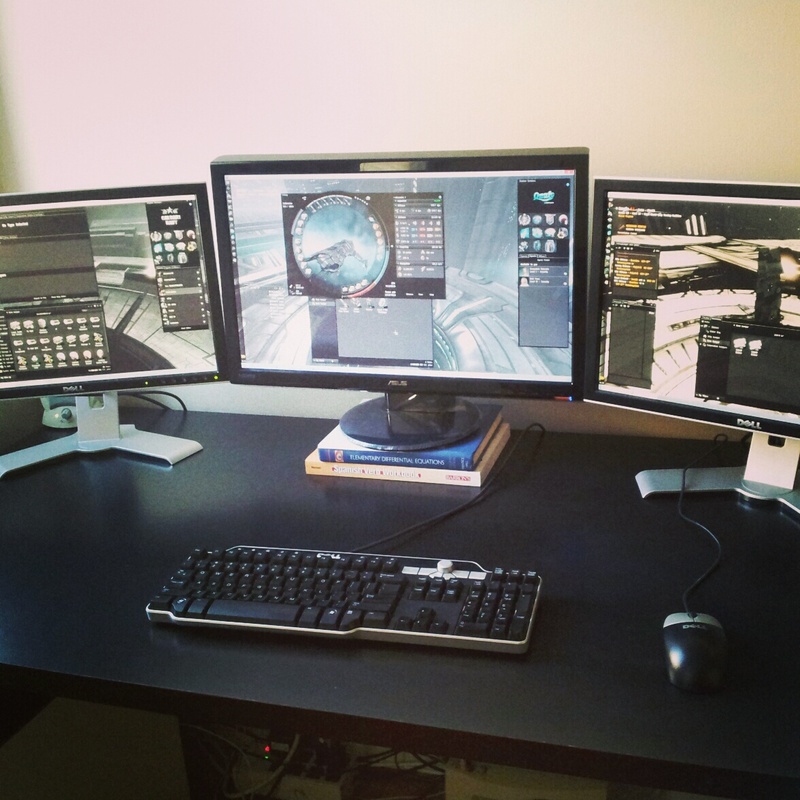 Let’s kill two birds with one stone – set past wrongs right while also providing new and exciting content, or the frameworks for content generation, to attract a whole new generation of EVE players. Working daily with a team that uses the same Agile software development methodology as CCP, I understand their struggle because we have many of the same challenges in our environment. From what I have gathered from reading over CSM minutes, staff interviews, and perusing the Developer comments on the forums, a major hindrance to the advancement of the Eve world was in their inability to decouple their code. If you made a small change to one section, it will affect thirteen other places that rely on it — oh, and all of the code is undocumented and the developer that wrote it no longer works here. As developers have changed seats and coding methods have advanced, I’m sure the style and quality of the current code is far more elegant and efficient. It can be easily tested and regression tested (something I think they have a problem with in previous years). 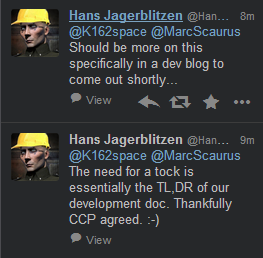 In the past few years CCP would develop, deploy, and then fix-on-failure. Compare the amount of patches and bugs in the 2009/2010 releases to the recent Retribution deployment. I haven’t worked out the numbers, but I feel it is significantly less. The decoupling steps have been happening are ticks that will (hopefully) lead us up to a major tock. Two major examples of steps to decouple sections of code can be seen with changes that came in the Crimewatch redesign and the rework of Hangars. CCP has stated repeatedly that the Crimewatch system was old, clunky, and filled with a ton of fringe cases that they had to handle with bulky nested code. With the re-write of the system, they have reduced the amount of arcane scenarios into a more manageable rule system that they can support. The recent changes to Hangars took a section of code that treated Hangars in POS’es, Ships, and Stations as the same entity and made them separate. Now making a change to the branch that handles a Carrier will not longer need to be tested against POS’es or Hangars. I see this Hangar change as a necessary step to enable the development of an entire new section of code that will handle POS’es. There was no way to use the existing branches to handle all the design requirement that we are requesting in the new POS system. Now that POS Hangars have been decoupled, they can truly start working on the new POS design. Time moves on and more cycles pass as we march through time. Hopefully we can have some major tocks coming up rather than ticks now that a lot of smaller, necessary work has been done to set us up for a major architecture change. Just as Marc stated in his post that I quoted from, demand more of the next CSM and yourself. We have the power to put people in place that will help us drive the changes we want. The fruits of our trading operation have seen the growth of a Heavy Industry branch of our operation. The initial ISK outlay to start the operation was high, but our market research proved the venture to be viable. We have been running for around 25 days and we have sold 22 hulls. So far we have been very pleased with the results and velocity of sales. As expected the Nidhoggur has a smaller margin and velocity when compared to the other racial types. We have reached a point where we can keep all 7 Carrier BPOs in production. Our mineral sourcing, compression, and transport operation has been moving materials along with ease. An industry goal for 2013 is to expand into Dreadnought production. We have purchased the Capital Component and Weapon Blueprints. Once they reach acceptable ME/PE levels, we’ll start to produce Dreadnoughts.